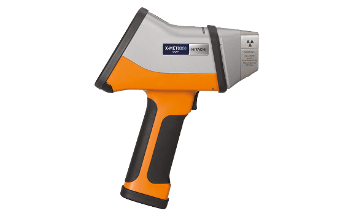 The X-MET8000 Geo is a portable XRF (X-ray fluorescence) system designed for geochemical analysis throughout the mining process. 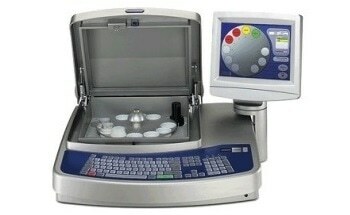 The system is simple to use and significantly decreases the need to carry out expensive lab-based analysis. Using the X-MET8000 Geo allows decisions to be made on-site, meaning operators don’t have to wait hours or days for lab-based analysis to be carried out. The system uses HITACHI’s advanced BOOST™ technology which allows critical elements, such as pathfinders or penalty elements, to be accurately measured at low detection limits. The system has integrated GPS which can be used to add geodata to each reading, allowing site maps to be constructed. This data uses Trimble® receivers to ensure high location accuracy. The system is operated via a 4.3” color touchscreen that can be operated in direct sunlight. The interface is easily navigated, with large icons that can be used even whilst wearing gloves. Minimal training is required to operate the system. The X-MET8000 Geo’s ergonomic design, lightweight construction of 1.5 kg and long battery lifetime of 10-12 hours means the system can be used continuously for long time periods with minimal fatigue. The data collected can be shared via WiFI, as a tamper-proof PDF or as a CSV file, to a computer/network or downloaded directly to a USB. The ExTOPE Connect mobile app can be used to share results as they are collected, with HITACHI’s cloud service allowing the secure exporting of results, notes, geodata and images in real-time. It is possible to connect multiple X-MET8000’s to the same account for improved data collection. Using the system’s mining calibration up to 40 elements can be measured, including rare earth elements (REEs) such as Ce, Pr, La and Nd, and for the testing of different types of samples, e.g. cores, powders, cuttings and rocks. The X-MET8000’s robust design means it can be used in challenging environments and weather conditions. The system is protected against water splashes and dust (with IP54 compliance - equivalent to NEMA 3) and produced to military standards of ruggedness (MIL-STD-810G). Time and money can be saved by reducing the number of samples that must be sent to the lab for excavation planning. On-site analysis allows ore reserve boundaries to be immediately identified, preventing time from being spent excavating waste rock. 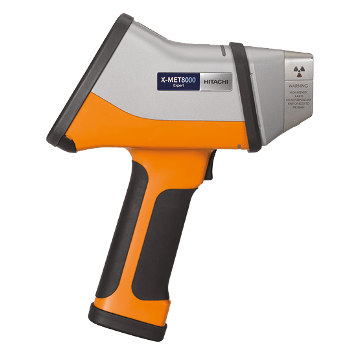 The X-MET8000 can be used to rapidly screen a wide range of different elements (Mg to U) at detection limits as low as ppm. BOOST™ technology means all important elements can be identified on site, helping operators make informed decisions. The X-MET can be moved from location to location for the analysis of feeds, stockpiles, tailings, concentrates and more, to feed back into process monitoring. The levels of key elements in ores can be measured, allowing penalty elements concentrations to be accurately determined with minimal sample preparation. Tailings and waste rocks from mining can be tested in terms of their potential environmental impact, with the detection of hazardous elements at levels as low as ppm, to assist with waste management. 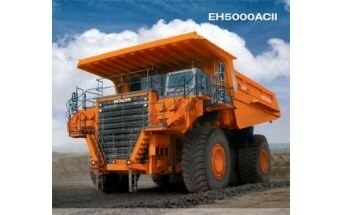 Hitachi offers two different models to give you a cost-effective solution.